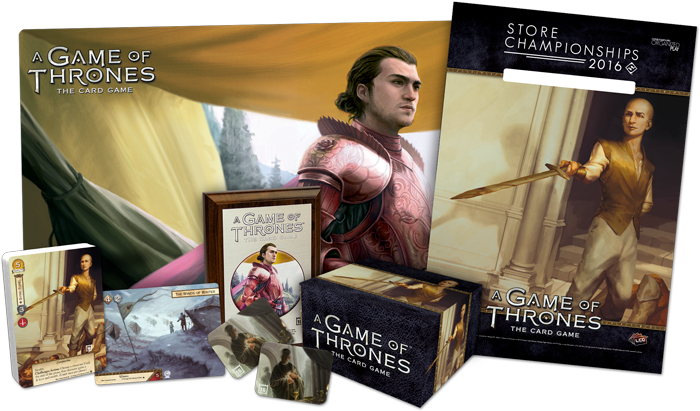 The Relentless Dragon is proud to host its 2016 Store Championships for the Game of Thrones LCG! Prizes: Top 32 – The top thirty-two players will each receive a copy of the alternate art card “Syrio Forel”. Top 8 – The top eight players will each receive a Syrio Forel deckbox. Top 4 – The top four players will each receive a Ser Robar Royce playmat. Top 2 – The top two players will each receive a printed acrylic token for use with the card “Tears of Lys”. First Place – The winner will receive a plaque and a first round bye to a 2017 A Game of Thrones: The Card Game Regional Championship of their choice! Additional prizes will be offered in the form of store credit based on total attendance.